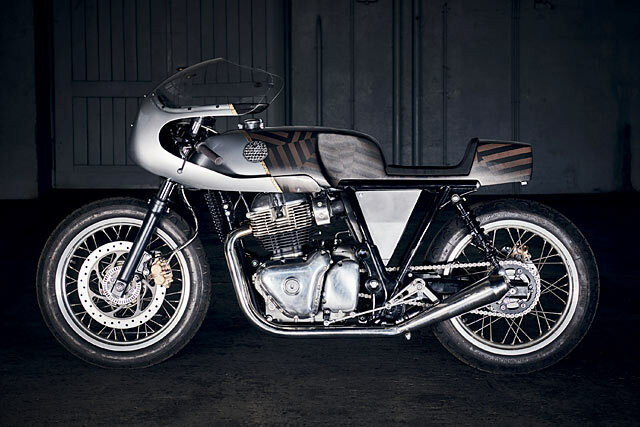 If you haven’t heard of the new Royal Enfield 650 GT – welcome. I hope life has been comfortable for you under your rock. Feast your bleary eyes on the new platform that’s going to become a staple of the custom scene over the next twenty years. 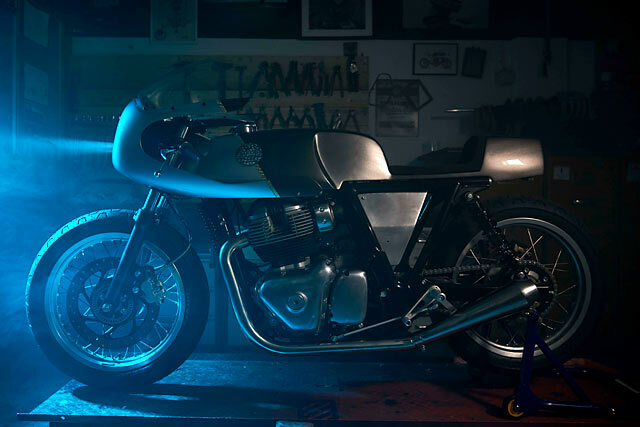 That’s right, a decade’s worth of rumours have come to fruition and Enfield are about to release their two 650cc twins later this year. 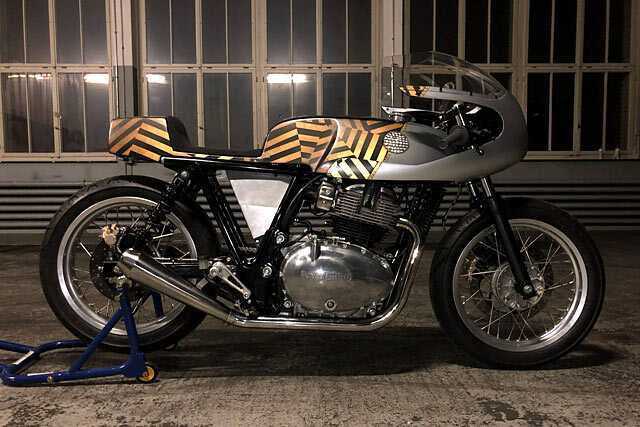 And we’re delighted to show you one of the first customised examples, a hint at the future, with Young Guns Speed Shop’s new cafe racer dubbed ‘Rohini’. 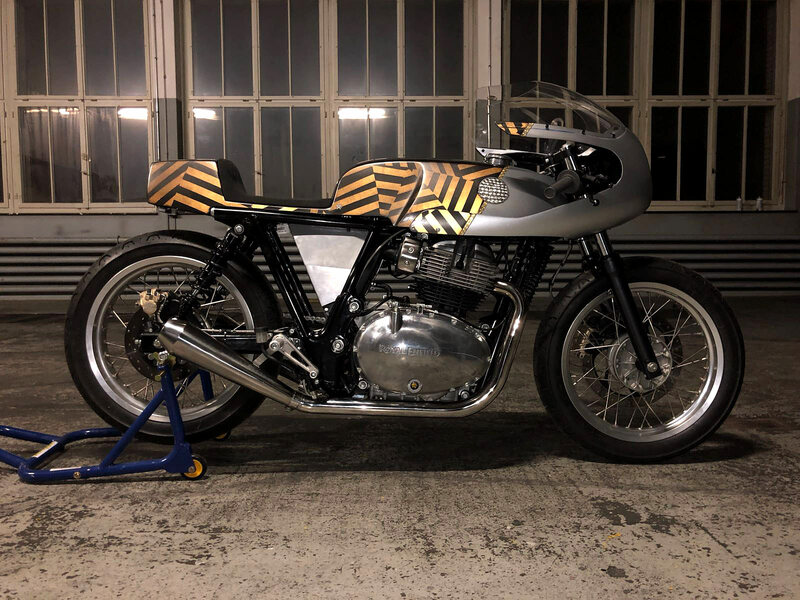 Switzerland’s Young Guns Speed Shop have a reputation for building period-correct scramblers, trackers and cafe racers. 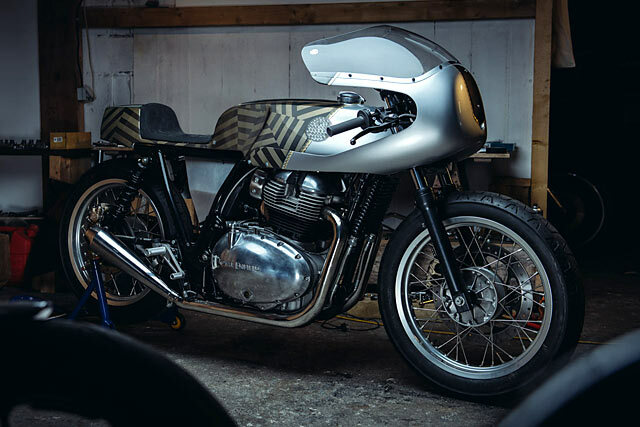 They have an eye for design, sure, but they also approach many resto-mods with a sense of reverence and historical correctness you rarely see from other builders. They put seriously rare parts on seriously rare bikes. 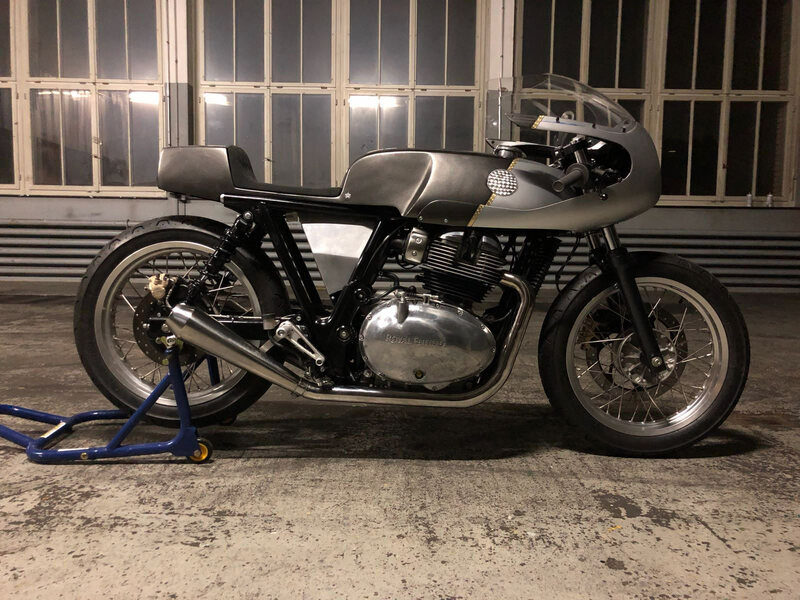 So it’s no surprise that Royal Enfield approached them, months before the actual release of the 650 GT, to see what their eagle eyes could make from their new platform. And as soon as they had a good look at the Enfield, they knew what they were going to build. 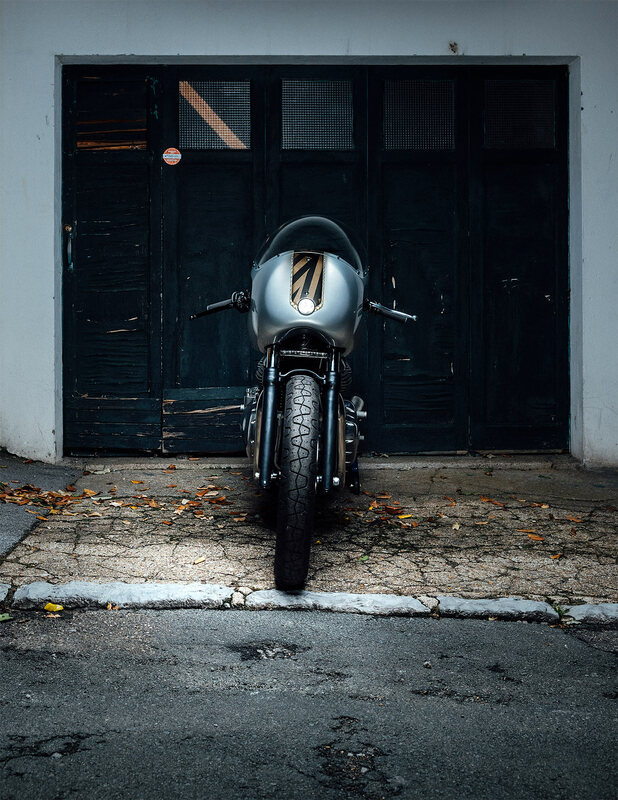 “A classic cafe racer,” Young Gun’s Nik Heer says, “we wanted to build something from the days of old. And when you take a look at the frame geometry it was clear. 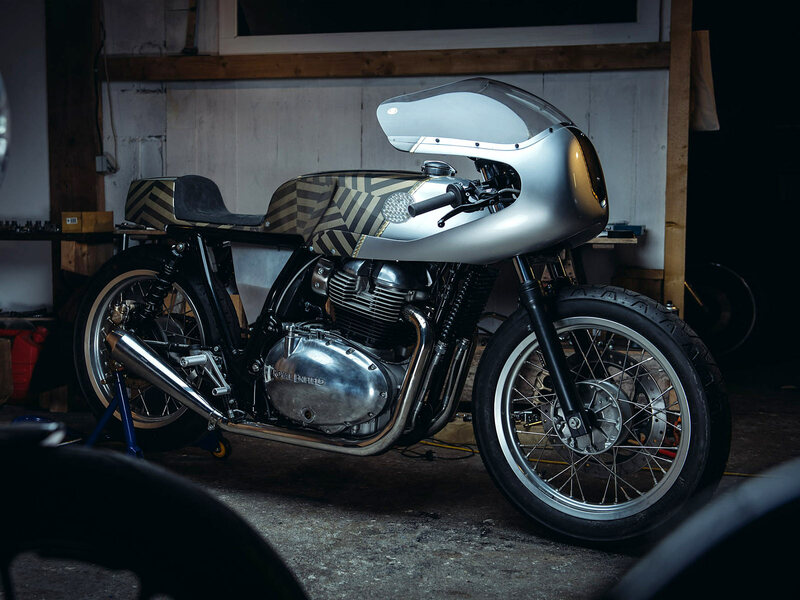 We were going to build a classic British supersport bike from the early 1970’s. I knew it was going to be a simple and good base to work on”. “Our first step of the building process was to take off the few parts not needed in the final design,” Nik explains. 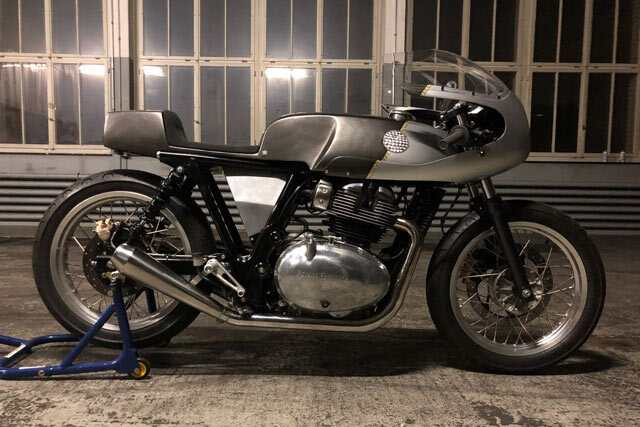 “The handlebar, tank, fenders, exhaust, footrest brackets went but just about everything else is standard”. Next the team gave the frame a very minor trim, shortening it by a few inches and putting alloy plugs in. They had no intention of pulling everything apart to get the frame powder coated, so the frame is practically all standard. But the bodywork certainly isn’t. Next up the team fitted a pair of Tarozzi rearsets and LSL clipons to give it more of an authentic racer crouch. The controls were swapped out for Motogadget switches and a Magura HC brake lever. 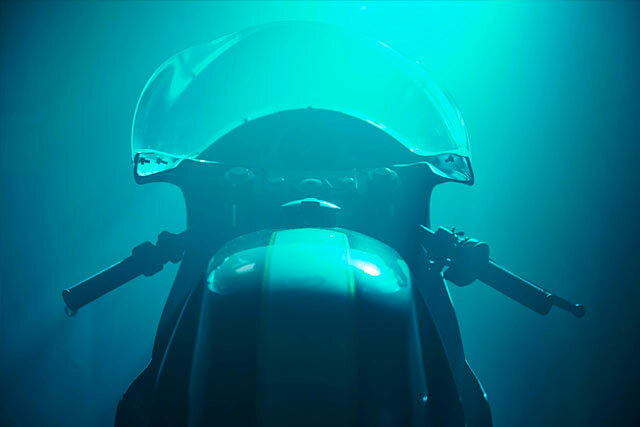 Afterwards Nik contacted the immortal gurus of fairings, Airtech Streamlining, and fitted one of their fibreglass units. Underneath that sits a Motogadget display. 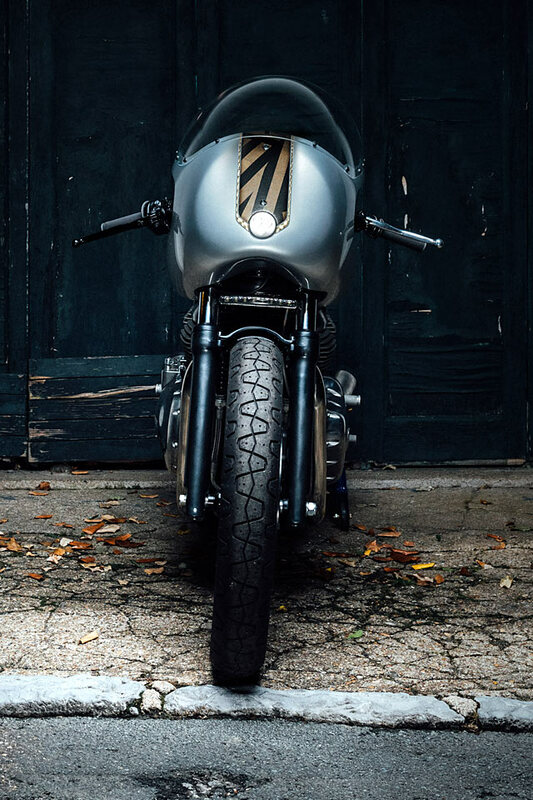 Young Guns made up a freehand-bent exhaust system and custom muffler to give it a sportier look and growl. Then came the paint. “We knew we wanted to do something with Markus Pfeil from Pfeil design,” Nik says. 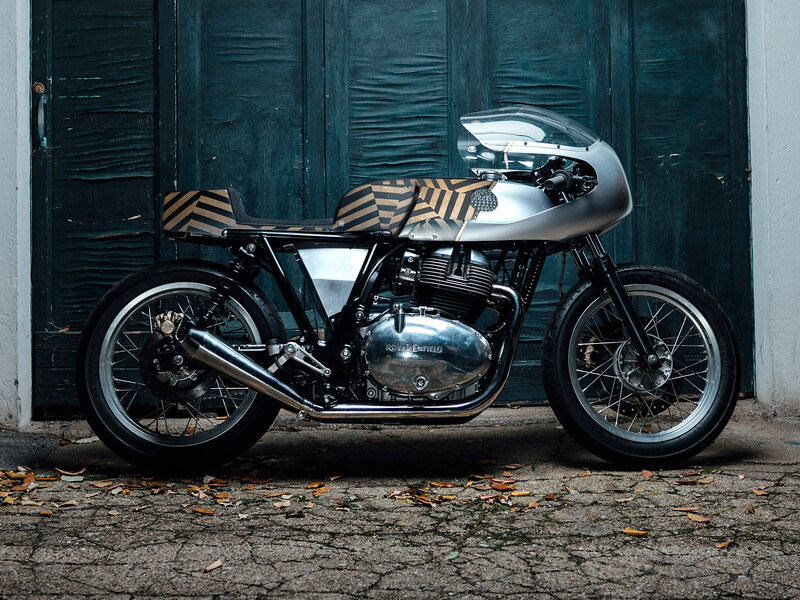 “We decided to go for a classic old school paint job with some gold leaf and pin stripes. 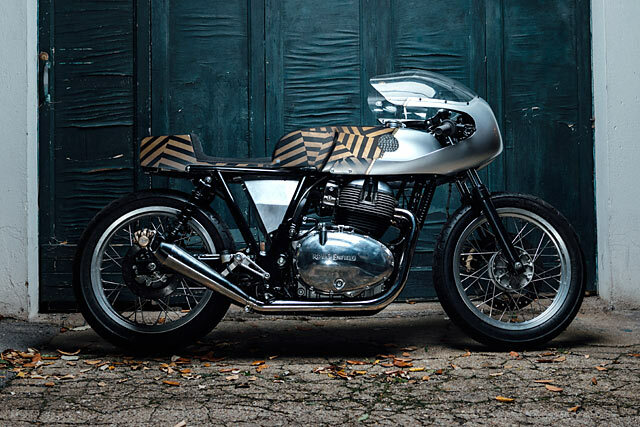 But on the other side, if you take a photo of the bike with a flash a crazy razzle-dazzle pattern would appear very clearly and shiny.” That colour scheme is reminiscent of WW1 cargo ship camouflage. 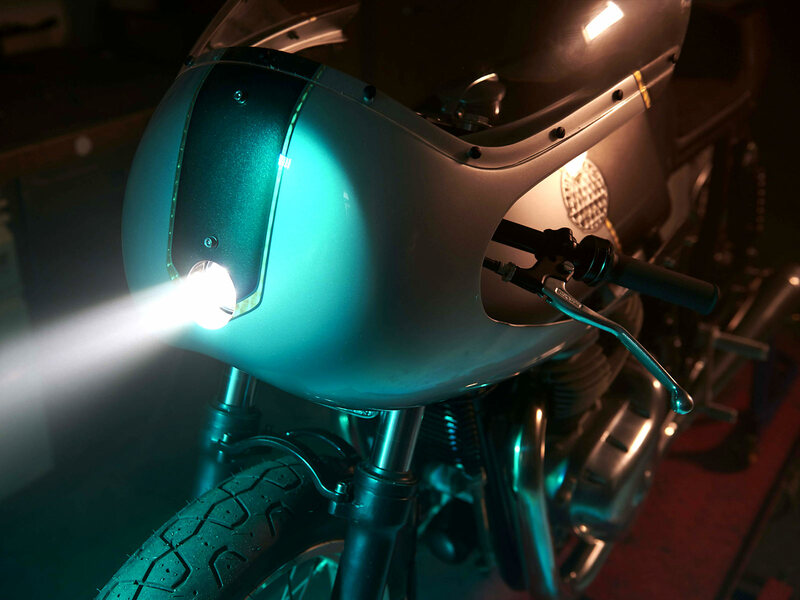 So not only does it make the bike pop under night lighting, it’s also safe from U-boat attack. Lastly, what’s with the name, Rohini? Well, it turns out Rohini was the name given to a series of satellites launched by the Indian Space Research agency in the 70’s. Rohini was a series of four experimental satellites, three of which successfully made it into orbit. The first one didn’t fare that well – it came crashing down into the bay of Bengal a few minutes after launch. 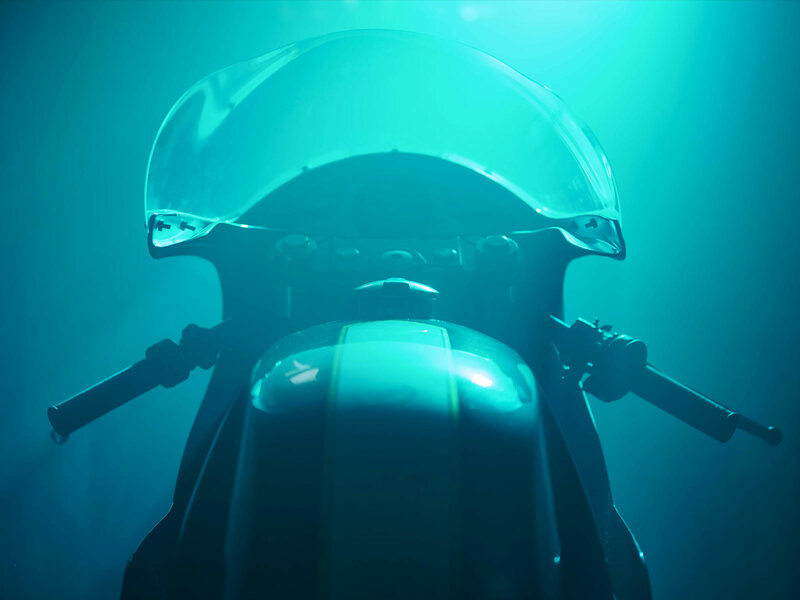 “I like to imagine it might have come back to mother earth as this motorcycle,” Nik quips. 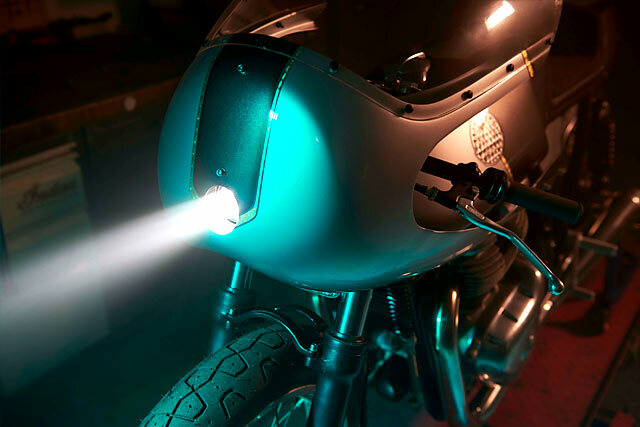 So there you have it, frothing, adoring followers of Pipeburn and Young Guns. 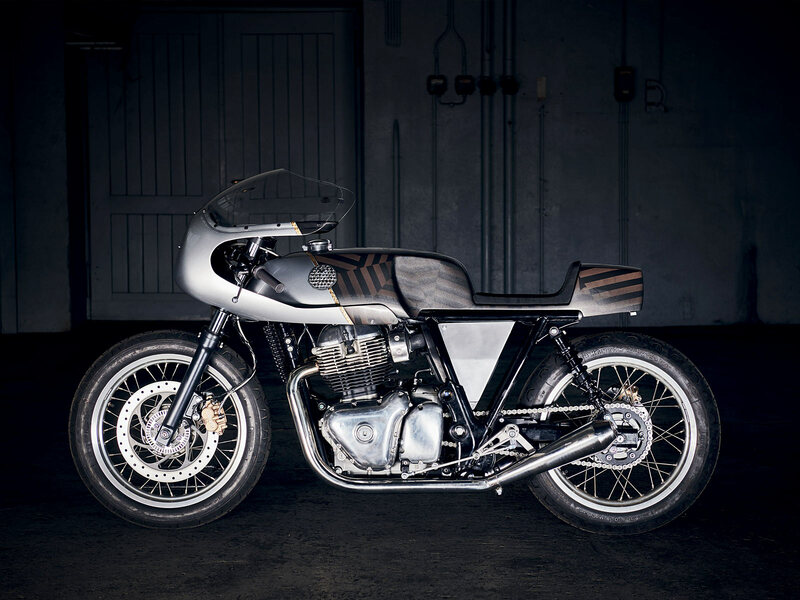 One of the first Royal Enfield GT customs. And it looks a treat, doesn’t it? 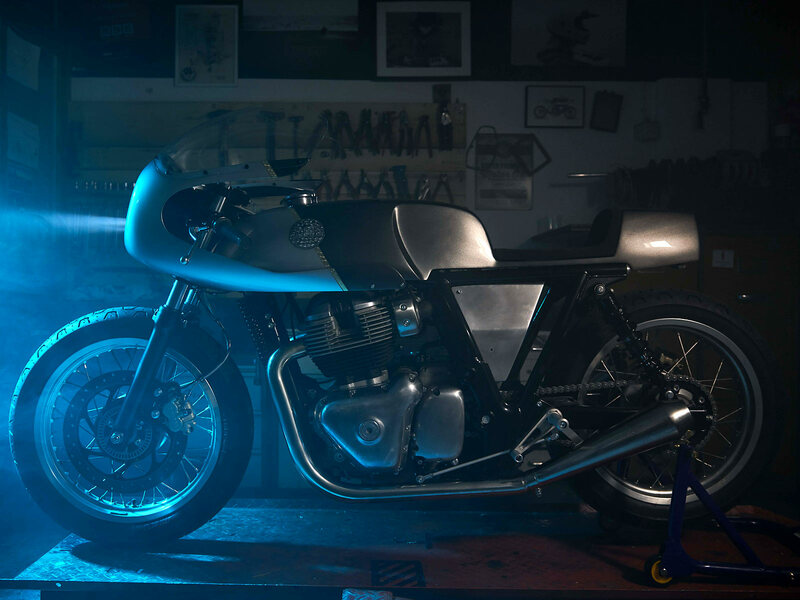 The world is calling out for more simple, straightforward custom bikes and if this cafe build is anything to go by, we’re going to see a hell of a lot more Royal Enfield twins hitting our pages over the coming years. This is just the beginning. And the beginning looks damn good.